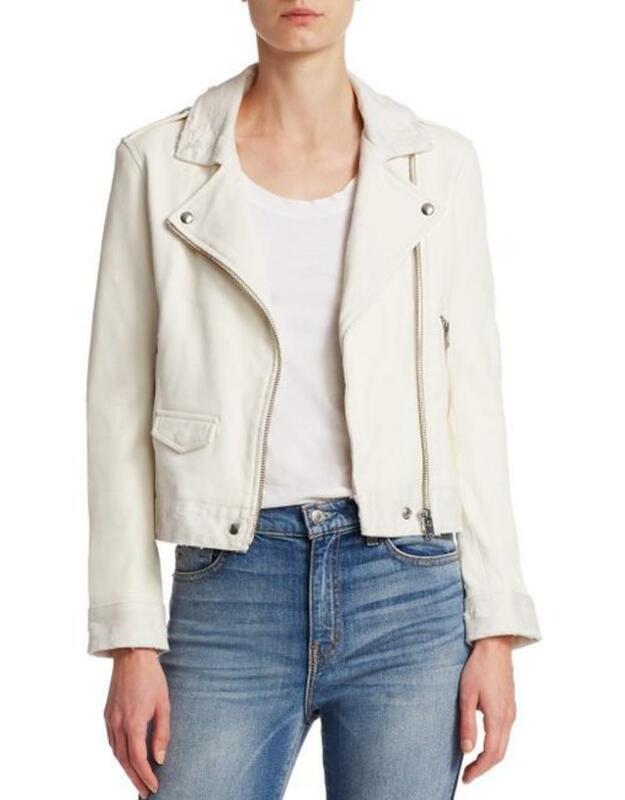 The distressed denim trim along the cuffs, collar and hem of IRO's classic leather biker jacket creates an unexpectedly chic mix of textures. 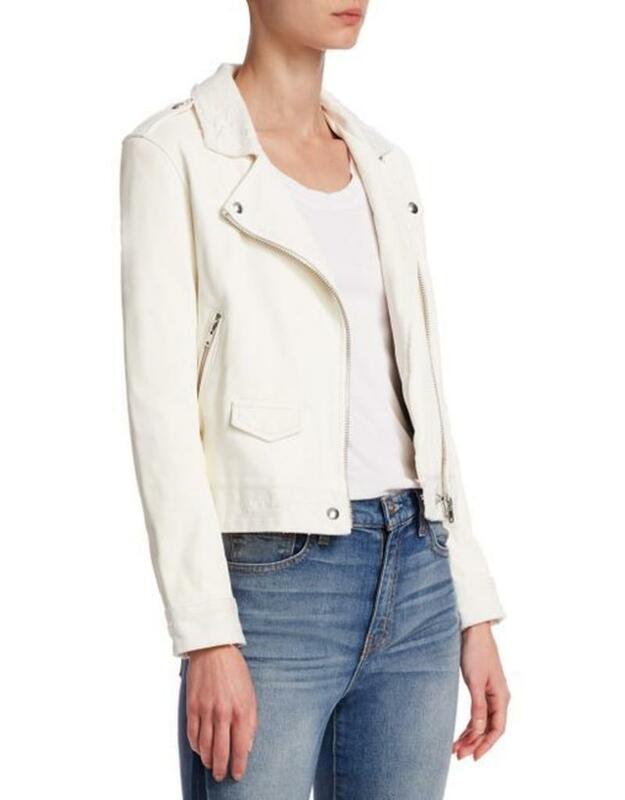 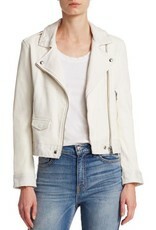 - Leather biker jacket with subtle distressing. 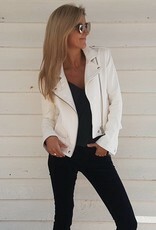 - Dry clean by leather specialist.